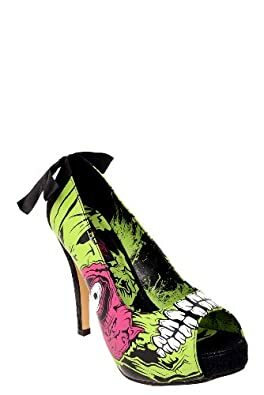 Heels feature a vinyl upper with a neon-green and purple zombie print and a black crackle fabric toe and heel. Black satin trim and bow at heel. Peeptoe.